India’s largest retailer, Future Group, will foray into the highly competitive food delivery business segment by launching cloud kitchens. In a recent interview with Business Standard, Future Group Chief Executive Officer Kishore Biyani said the plan was to be present during every meal, including breakfast, lunch, snacks and dinner. “Whichever way food is being consumed in India, we want to be part of that business,” he said. While Biyani did not comment on further details like the timing of the launch and the cities they would be targeting, but market experts expects the company to soft-launch the food delivery service in cities like Mumbai, Delhi, Bengaluru and Kolkatta in first phase. Followed by second phase which will target Tier 1 & Tier 2 cities, evaluating the response from the market. 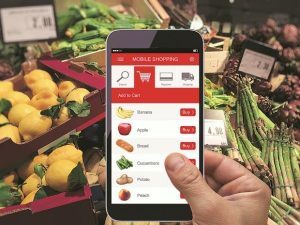 Biyani is also planning to integrate his food delivery business with his mobile application Future Pay which will create synergies and improve penetration. Affordability could be the important factor to market, he said, with lunch and dinner meals priced as low as Rs 40, while snacks could come at Rs 10. “In the next two years, we propose to be the largest food retailing company in the country,” he said when asked about his mission, vision and goals for the business. Online food ordering and delivery industry is rapidly growing in India, currently valued at Rs 50,000 crore, according to industry estimates. Leading players include Zomato, Swiggy, UberEats and Foodpanda, with cloud kitchen start-ups such as Faasos, Freshmenu, Holachef and Box8 also delivering food to consumers. Bengaluru-based RedSeer Consulting pegs the rate of growth of online food ordering and delivery in India at 15 per cent per quarter, with the figure expected to grow in the future. Already the order run rate per month of key brands such as Zomato and Swiggy is pegged at 21-22 million, and the two are fighting a stiff battle with each other to improve this number. Biyani is also consistenlty strenghtning and working on improving backward integeration to achieve his goal of becoming the largest food retailer in the country. Setting up smart distribution centres is part of this process — the fifth such centre was launched in Patiala (Punjab) on 1 feb,2019. The group’s ‘India Food Grid’ project, a network of 38 large warehouses, is aimed at improving efficiencies of scale.The project would be the backbone of Group’s next phase of growth as it would help it add Rs 70,000 crore worth of goods per annum into the system, Biyani said. Future group will be spending Rs 1,000 crore on the project as food and fast-moving consumer goods (FMCG) emerge as its categories of growth in the coming years. While fashion and apparels were the cornerstones of Future Group’s retailing strategy in the past, it is food and FMCG that is expected to give it nearly 60 per cent of its revenue in the future, Biyani said. Future Consumer Enterprise Ltd, the food & FMCG arm of the group, has achieved a compounded annual growth rate of 32 per cent over the last three years in terms of its top line growth, touching Rs 3,000 crore in FY18 (2017-18). The company turned EBITDA (earnings before interest, tax, depreciation and amortisation) positive in FY17 (at Rs 20.7 crore), with FY18 EBITDA at Rs 66.4 crore. It is expected to turn profitable after tax by FY20. The Future group has also set an ambitious target of opening 15,000 small-format stores (under the Aadhar brand name) using the franchise and company-owned models over five years. These stores, billed as modified kiranas, are meant for towns with a population of less than 50,000, Biyani said. Moreover, the group’s network of EasyDay outlets — meant for towns with over 50,000 people — will touch 10,000 from under 1,000 now in five years.